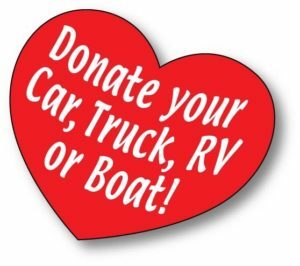 Donate your car, boat, RV or motorcycle to ALRP – Running or Not!! Tax Deductible! ALRP has teamed up with Car Donations Services, Inc. (CDS) to provide you with the easiest way possible to donate your vehicle whether it is running or not! CDS has been helping local charities since 1990 and will take care of every aspect of your car donation, allowing you peace of mind that the transaction will be completed efficiently and properly. CDS a\is licensed Commercial Fundraiser as recognized by the California State Attorney General’s Registry of Charitable Trusts. or visit Car Donation Services to quickly and easily donate directly online.